On the current history of Lynne Greer Jolitz. Part of the Jolitz Heritage Site for the Jolitz Family of Silicon Valley. Lynne Greer Jolitz (personal site Lynne Jolitz) has been a founder of startups ranging from workstations to Internet multimedia. Lynne is currently a Founder and Chief Technology Officer of ExecProducer a pioneer of Massive Video Production, and realtime Internet video production and deployment. Her most recent work was included as part of SIGCHI's Advances in Computer Entertainment Conference in Singapore held June 2004. The paper, Lessons Learned in Massive Video Production (MVP) for University Alumni Outreach, described Lynne's work with UC Berkeley's physics department on alumni outreach using ExecProducer's novel technology. She received an Alumni Award for this work at the Physics Department Alumni Reunion and Dinner October 2003. Asked later about her feelings on receiving this award, "The unexpected honor I have received tonight from my department is without doubt one of the most wonderful moments of my life." Lynne received a granted fundamental technology patent (2001) for her four-year work in very-high speed Internet protocol transaction technologies for high-end datacenters at InterProphet, the Internet infrastructure company she co-founded. Lynne was responsible for the development of the proof-of-concept scalable design and product which definitively solved both the 30-year bandwidth bottleneck problem while providing the ultimate solution to denial-of-service attacks by receiving the information ballistically, processing it on-the-fly, and acknowledging the results with no microprocessor intervention required. She held P&L responsibilities and the Secretary to the Board of Directors position. Prior to InterProphet, Lynne held P&L operational responsibility at Symmetric Computer Systems, a manufacturer of Unix workstations, for five years. Lynne has appeared on the Oracle E-Business Network and was presented with their Geek of the Week award for her years of work in high-speed networking and operating systems design. 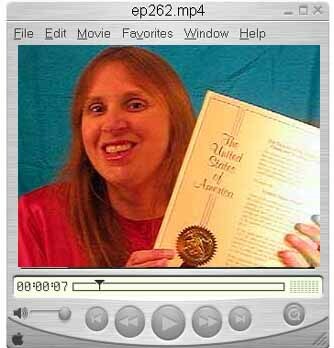 She has appeared on Dvorak’s RealComputing discussing Internet broadband’s impact on our lives. Lynne is very active in the women’s entrepreneur and technology networking groups, and writes on topics of interest to women in high-tech, such as her commissioned front-page business article Paving the Way for ‘Systers’ appearing in the San Francisco Chronicle (9/15/03). Lynne has just been granted a semiconductor memory patent (June 2004), and continues her research work with technical papers and articles (list of works). September 15, 2003. San Francisco Chronicle, Technology and Business Section page E1. USA. Paving the Way for �Systers�. On Sept. 9, Anita Borg, a well-known computer scientist and champion for the advancement of women in the technology industry who died in April, was eulogized by colleagues at Stanford University's Memorial Auditorium. Here are the thoughts of Lynne Greer Jolitz , who has spearheaded several Silicon Valley Startups. Article also posted on SF Gate, among the top five newspaper-affiliated web sites in the U.S., with 4.9 million users and 58 million page views per month. Lynne is very active in the womens entrepreneur and technology networking groups, and writes on topics of interest to women in high-tech, such as her commissioned front-page business article Paving the Way for 'Systers' appearing in the San Francisco Chronicle(9/15/03). She currently conducts due diligence on technology for investment and works on Internet multimedia community building projects. Lynne Jolitz, writer and technologist, was not only the co-creator of the 386BSD operating system - the first open source Berkeley Unix release for the X86 platform - she was also a leader in the fight for the Berkeley open source copyright. Since her days as an executive at Symmetric Computer Systems, one of the first BSD UNIX startups, Lynne has always sung the praises of the great university work called the Berkeley Software Distribution. Of course, Berkeley is also Lynne's alma-mater, and its influence on academic achievement and battles for academic freedom is also strongly felt. Her ringing endorsement of the Berkeley open source copyright and her own corporate experience, Copyright, Copyleft, and Competitive Advantage appeared in Dr. Dobbs Journal as part of PORTING UNIX TO THE 386: LANGUAGE TOOLS CROSS SUPPORT a decade before the legal community found it fashionable dinner conversation.